The popularity of Cryptocurrencies such as Bitcoin, Ethereum, and Litecoin among others has boosted investment in new technologies according to the Russian Economy Minister Maksim Oreshkin. While speaking during Russia Calling, the minister said that many companies are now studying how they could use blockchain technology. Moscow has not yet given a firm stand on Cryptocurrency regulation with a local court recently lifting a ban on a Russian Crypto website. Bitcoin, the world’s first Cryptocurrency, was developed a decade ago. The new coin also saw the introduction of a new technology, blockchain. Since then, the popularity of both the Crypto and the technology has grown significantly. Currently, there are thousands of altcoins and blockchain has gained other areas application apart from this sector. 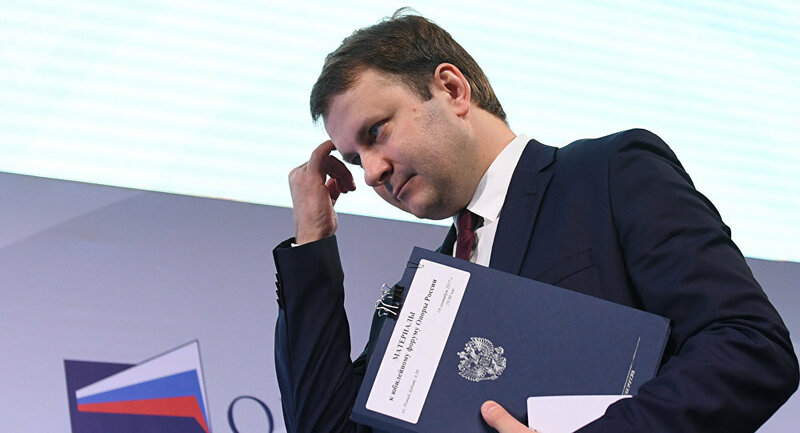 During a VTB Capital-organized event, Russia Calling, the Russian Economy Minister Maksim Oreshkin hailed Cryptocurrencies for boosting investment in new technologies. The minister said that despite the challenges Cryptocurrencies are currently facing, blockchain technology has attracted the interests of many companies around the world. Different industries are trying to establish how they could the technology to improve their efficiency, enhance transparency, and reduce costs. Russia has not yet given its firm stand on the growth of Cryptocurrencies. The country has not yet established clear laws on Crypto mining, ICOs, and Crypto trading. Authorities in Moscow have only been issuing vague disclaimers and asking investors to be cautious while dealing with the sector. However, with a lack of clear laws, many individuals and companies have been able to venture into the sector. Calls for use of blockchain technology in Russia have been growing recently. Some prominent voices have been calling for the adoption of technology in different sectors such as the pension fund industry to eliminate customer abuse. Others also believe that the use of gold-linked Cryptocurrency could help in protecting the country’s arms export. However, no plan has been put in place to encourage the adoption of technology in the country. In June, President Vladimir Putin said that the country was not in a position to issue or sanction Cryptocurrencies, as they don’t fall under any regulatory agency. During the just concluded FIFA World Cup in the country, the government announced selected places where customers would be allowed to pay in Cryptocurrencies. In March, three draft bills were submitted for first reading in the country’s parliament. The bills promised to address the regulatory gap and help the relevant agencies to handle Cryptocurrencies. One of the bills stated that Moscow does not recognize Cryptocurrencies as legal tender. However, recently, the country has been trying to find out ways in which it could use the digital assets to circumvent the US-imposed sanctions. In 2016, Vyborgsky District Court in Saint Petersburg blocked bitcoininfo.ru, a Russian Crypto website. According to the prosecutors, the site was involved in Cryptocurrency operations by publishing materials about Cryptocurrencies such as Bitcoin that went against the country’s central bank. However, the website was not given a chance to answer to these allegations forcing it to appeal. Saint Petersburg City Court heard the appeal on Supreme Court’s orders and even overturned the previous ruling. On November 26, the Oktyabrsky District Court upheld the ruling. Furthermore, the court ordered for the compensation of Nikolay Tonkoshkurov, the website’s founder.